Tom Wolfe’s celebrated novel The Right Stuff (1979) narrates the story of seven US pilots who were central to the nation’s post-war experiments with space program and investigational high-speed aircraft. The story of The Right Stuff has been the result of Wolfe’s all-embracing research and he treats the theme in a realistic manner. The seven military pilots in the novel dedicated their lives in pioneering the in forwarding the US technology which helped in the advancement of rocket-powered flight. They ultimately succeeded in breaking the boundaries of earth and pioneer the US space development programs. However, the novel is more illustrious for its definition of a key concept, ‘The Right Stuff’, which corresponds to some essential talents and qualities of the most elite that are associated with seven pilots including bravery, physical fitness, mental determination, patriotism, self sacrifice and willingness to risk one’s life. According to Tom Wolfe, the concept of ‘The Right Stuff’ is a virtue of the highest order which includes some unique qualities. These talents and qualities break up the men from the boys and they include bravery, physical fitness, mental determination, patriotism, self sacrifice and willingness to risk one’s life. In defining the concept of ‘The Right Stuff’, the author, first of all, connects it to the quality of bravery and it is background of military flight training that he demonstrates this specific element of the great concept. Thus, Wolfe, in the early pages of his book suggests that bravery is an “ineffable quality” which only people with ‘The Right Stuff’ can acquire. Conversely, one needs to comprehend bravery as something more than merely “being willing to risk your life.” (Wolfe, 17) In fact, bravery, to the author, refers to the unrelenting in pursuit of glory which is accompanied by steadiness and almost modesty. Another chief component of the concept of ‘The Right Stuff’, according to Wolfe, is the patriotism of military pilots which distinguish them from the ordinary citizens of a nation. The author illustrates the self sacrificing patriotism as essential feature of this concept and he makes use of the combat experiences of the seven pilots as the best example of this concept. The altruistic self-sacrifice of these men is evident in their keenness to offer their service to the prosperity of the nation away from their families and friends and this feature corresponds to ‘The Right Stuff’ in them. Although bravery is an essential component of ‘The Right Stuff’, it is not all about that and, in fact, it is much more than mere bravery. To him, the concept is something more than the willingness to risk one’s life and it is, exactly, about intellect, courage and elegance under pressure which leads people to greater deeds in life. According to Wolfe, “a man should have the ability to go up in a hurtling piece of machinery and put his hide on the line and have the moxie, the reflexes, the experience, the coolness, to pull it back at the last yawning moment.” (Wolfe, 148) Therefore, one with mere bravery cannot possess ‘The Right Stuff’. Also, the author points out that the concept of ‘The Right Stuff’ refers to “presence” and an “aura” in people and he illustrates it with the example of Senator John Glenn (Wolfe, 277). Accordingly, this character is “the sort of mortal who brought tears to other men’s eyes” (Wolfe, 279) To Wolfe, the significance of this quality is unquestionable and “Even the President would become merely another awed male in the presence of the right stuff” (Wolfe, 217) He also illustrates the importance of the “aura” with the example of General Chuck Yeager. In conclusion, Wolfe defines the concept of ‘The Right Stuff’ in a broader sense which cannot be encapsulated in just a few words. The concept incorporates essential talents and qualities such as bravery, physical fitness, mental determination, patriotism, self sacrifice and willingness to risk one’s life. However, it needs to be realized as a quality above and beyond mere bravery, courage, talent, and patriotism and the author presents the various elements of ‘The Right Stuff’ through the various characters in the novel. Wolfe, Tom. The Right Stuff. New York: Bantam Books. 2001. P 17. 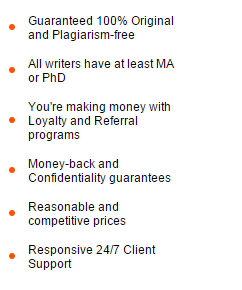 Join the team of thousands of students who have trusted our essay help online. They were able to improve their grades with our help, so you can do it too. Open Live Chat and order now.